We are the largest CrossFit Facility in Otago that has been developed solely for teaching and training the CrossFit method. Our core focus is to make you the fittest, strongest, and healthiest version of you we possibly can. Here at CrossFit Uncut we’re not worried about what you look like when you walk through door, if you’re looking for a safe place to train, learn about the CrossFit program and be part of a team environment with people who also want to get the most from their workout then we’re the place for you. Everything we do here at CrossFit Uncut is scalable, we can modify every workout to make sure you are performing at your peak so even those with a limited fitness background can benefit from CrossFit. 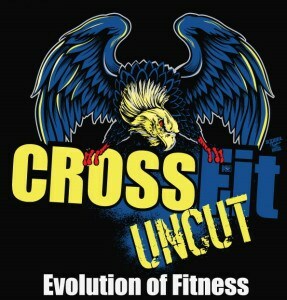 Crossfit Uncut all about functional movements, or more simply movements that you use in everyday life. We use a variety of different techniques to work these areas drawing on gymnastic, body weight, cardiovascular & Olympic weightlifting exercises. At Crossfit Uncut we incorporate such equipment as climbing ropes, kettle bells, gymnastic rings, barbells & plyometric boxes. With the endless combinations of both exercises and equipment we can constantly vary your workouts so no two workouts are the same. Why do we achieve more results at CrossFit Uncut? It isn’t the huge range of machine strength equipment and expensive cardio areas.. It isn’t the flash big screen Sky TV’s.. It isn’t the heated gym.. It isn’t the 24 hour access.. It is the CrossFit methodology everyday. It is the Coaching every time you walk in. It is the best space for Strength and conditioning. and it really is the community of your friends and training partners that push you to your very best!